Building out its ability to manage Teams (rather than users or policy settings), the Teams Admin Center now boasts the ability to delete teams and archive or unarchive teams. A more prosaic but still useful addition is the expansion of columns supported by the Manage Teams view to include properties like privacy (public or private) and classification. (Screen shot taken with the Edge Dev browser, just to see would it work – and it does). Given that Microsoft launched the ability to manage teams in the Teams Admin Center at Ignite 2018, you might wonder why it’s taking Microsoft so long to build out the management features in the console. A dependency on underlying APIs is part of the reason. Team owners can use the Teams clients to remove and archive/unarchive teams, but that doesn’t mean that the same operations are possible using the Graph API (or PowerShell). Upgrading the Graph to handle Teams management operations appears to be the major factor in several delays, including the provision of APIs to ISVs to handle migration and backup scenarios. Despite the claims of some vendors to support backups for Teams by copying the compliance records for personal chats and channel conversations from Exchange Online, this is not a true backup. Not all the data is copied and it’s impossible to restore conversations from compliance records. ISVs need Microsoft to deliver a high-speed access API for Teams before backups are possible (if you decide you need backups for Office 365, but that’s another story). Another complicating factor is that much of the recent work done to upgrade the Teams Admin Center has been to support the migration from Skype for Business Online to Teams. A lot of work has been done recently to make the transition easier. A further complication is that Microsoft has a history of spending less time to develop management utilities and programs to support applications like Teams than they do building out user-facing features. Every few weeks Microsoft trumpets some new client features (like Praise) while a slower pace applies to management features. Still, we shouldn’t be ungrateful. It’s good to see the portal develop and new capabilities arrive. It would just be nicer if things happened a tad faster. For more information about managing Teams, see Chapters 13 and 14 of the Office 365 for IT Pros eBook. 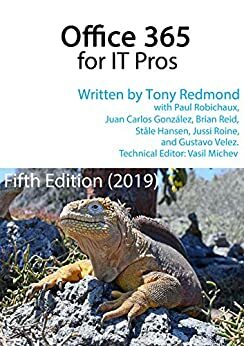 Chapter 14 is where we do DIY management using PowerShell, which can be more rewarding and functional than the OOTB features.